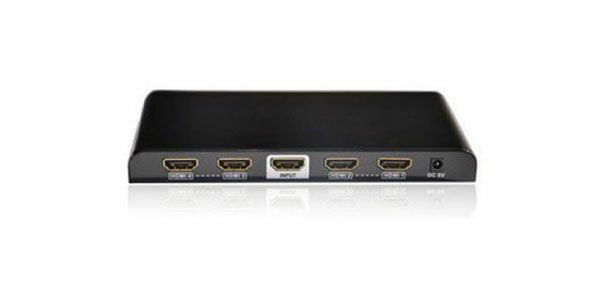 SINEW HD-371-4, 4x1 Quad Multiviewer Switcher, with 4 HDMI inputs, and 1 HDMI output, displays video from four HDMI source devices simultaneously on a single monitor. Switch to and control any of the four source devices while monitoring the other three connections in real time. It supports quad mode, full screen mode and dual mode. HDMI signal resolution supported is up to 1080p@60Hz. It is widely used in many applications that require real-time monitoring of multiple devices, like DVD player, cameras and computers. It is the perfect solution for the applications need to monitor several sources at the same time. Integrate Live streaming and recording system to reach more HDMI inputs application and HDMI extenders for longer signal extension. Compliant with HDMI 1.3a HDCP 1.2. Compatible with DVI through a HDMI to DVI adapter. LED indicate signal and power mode. 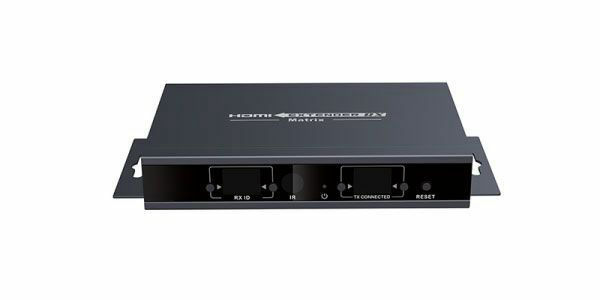 Compliant with HDMI 1.3a and HDCP 1.2. Thank you for filling and we will contact you soon.